Two Hyderabad residents, Faraz Ahsan and Imran Ahmed Khan succumbed to their injuries, while the death of Kodungallur native Anshi Karippakulam was confirmed by Kerala Chief Minister Pinarayi Vijayan. Three Indians, including a Kerala woman, were confirmed killed in the Christchurch terror attacks, where 49 people were shot dead inside two mosques, perpetrated by a white supremacist. Two people from Telangana, including a Hyderabad resident, was confirmed to have been killed in the incident. Tolichowki resident Faraz Ahsan (31) succumbed to his injuries in the hospital, said his family members. Speaking to Express, Faraz's brother Kashif Ahsan said, "We just received word from my sister-in-law that he has passed away." Faraz's relatives are as of now in discussion over whether to visit New Zealand for retrieving his body. 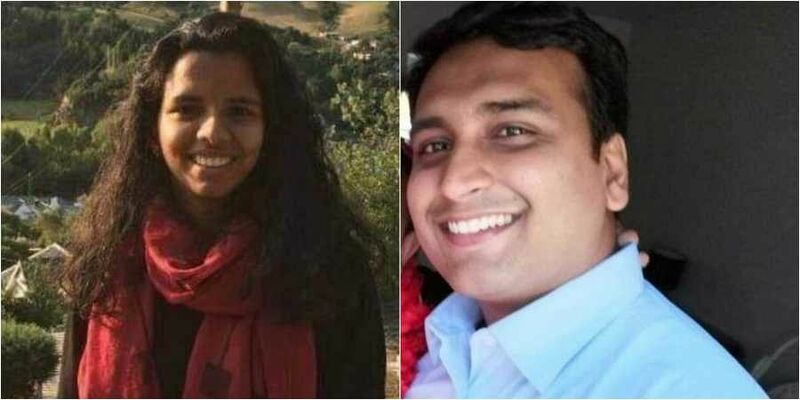 Earlier on Saturday, Faraz's wife Isha Aziz, who has been distressed since she learnt that her husband was missing after getting caught in the attack, had said that she had not received any confirmation on the matter then. The other person who passed away is Karimnagar resident Mohammed Imran Khan, who was like the others, attending Friday prayers at Masjid Al Noor in Christchurch when Brenton Tarrant opened fire inside the mosque. According to the ICRC website, Imran had last contacted his wife before leaving for the mosque. A photo, reportedly of Khan, is doing rounds on social media, showing a man in a black T-shirt and trousers covered in blood, slumped unconscious against a man wearing a grey mushroom who is talking on the phone. The Karimnagar resident had moved to New Zealand in 2002 and was running a restaurant in Christchurch. He was married to a New Zealand resident who recently gave birth to a son. His uncle Manzoor Ahmed Khan, who owns a marriage hall in Karimnagar, has reportedly left for New Zealand, said a family member. Amberpet resident Ahmed Iqbal Jehangir who was shot in the chest in the shootout underwent a second surgery on Saturday. "He is stable. They have removed the bullet that was lodged in the chest. This surgery is for getting out the one lodged in the collarbone," his brother Khursheed Jehangir told Express, adding that his VISA for New Zealand has been approved. On Friday, AIMIM president appealed to Minister for External Affairs Sushma Swaraj and TRS working president KT Rama Rao to expedite Khursheed's visa. Another Telangana man, Kodad resident Mohammed Abdul Aleem, who is also the treasurer of one of the two mosques which were attacked, is safe, said an official of the New Zealand chapter of the Telangana Jagruthi, a state-based NGO headed by Nizamabad MP K Kavitha. Faraz was a father to a three-year-old daughter and a six-month-old son. The third Indian was a Malayalee woman, as confirmed by Kerala Chief Minister Pinarayi Vijayan in a Facebook post-Saturday. "Death of Anshi Karippakulam (27) has been confirmed and her family has been intimated," a top police official told PTI. Vijayan, in his Facebook post, termed as shocking, the news that a Kodungallur native was among those who were killed in the terror attack in New Zealand. "We have been trying to contact the embassy through Non-Resident Keralites Affairs Department (NORKA-ROOTS) to gather more information. We share the grief of the family," Vijayan said. According to reports, the woman was pursuing her MTech at a university there. Her husband Abdul Nazer hails from Kochi. Television channels also aired a visual of a man purportedly saying he was from Moovattupuzha in the State and that he had a narrow escape. "I had come to the mosque along with a friend. I had a phone call and suddenly heard gunshots and saw a man shooting people and entering the mosque," the man is heard saying in the footage. He also said he and his friend had a "narrow and lucky escape."